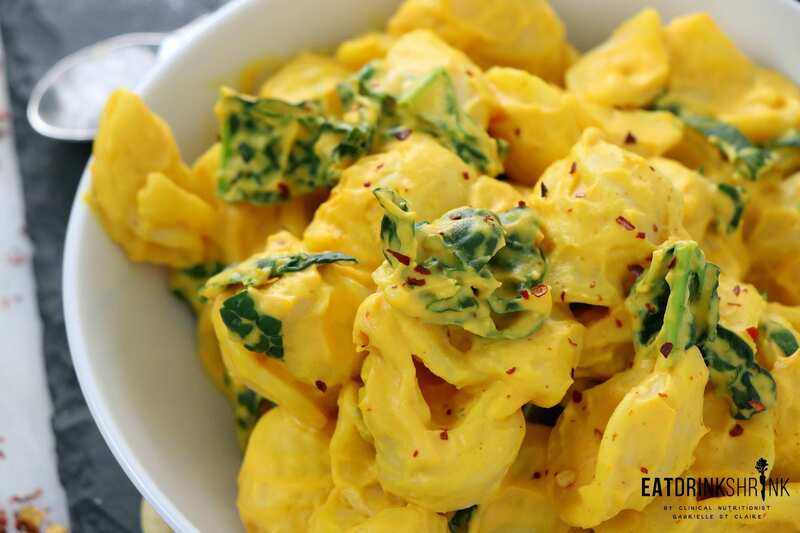 Vegan Mac + Cheese with Kale - Eat. Drink. Shrink. In keeping with the trend of effortless eats on EDS, I’m also running through my recipes to ensure I have all the staples, and a solid mac and cheese was missing!! My approach to cooking is to always have fun with food so I think more outside the box. 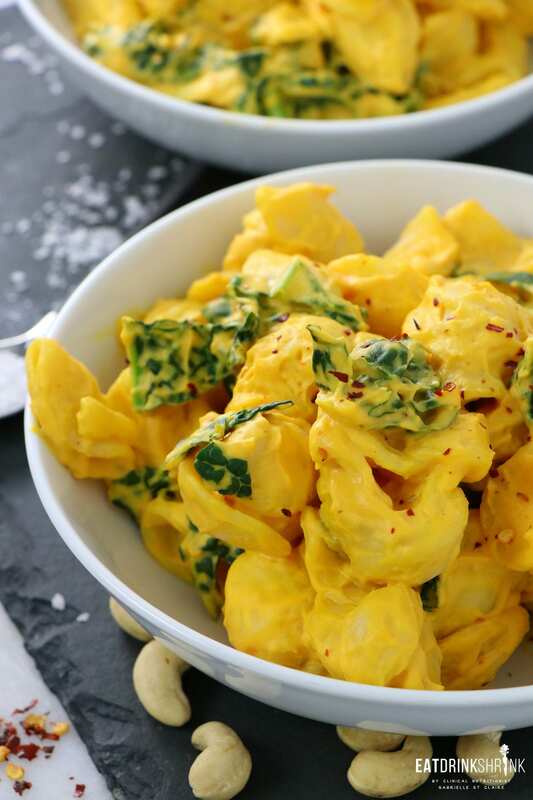 However, we all to embrace the staples so this vegan Mac & Cheese with Kale was a no brainer!! I produced a recipe for vegan Nacho Cheese and this is the same recipe, minus all of the added spices. That being said, if you don’t use up all the mac and cheese sauce, you can easily add in the spices and make a fab nacho cheese. Don’t want to eat nachos?! 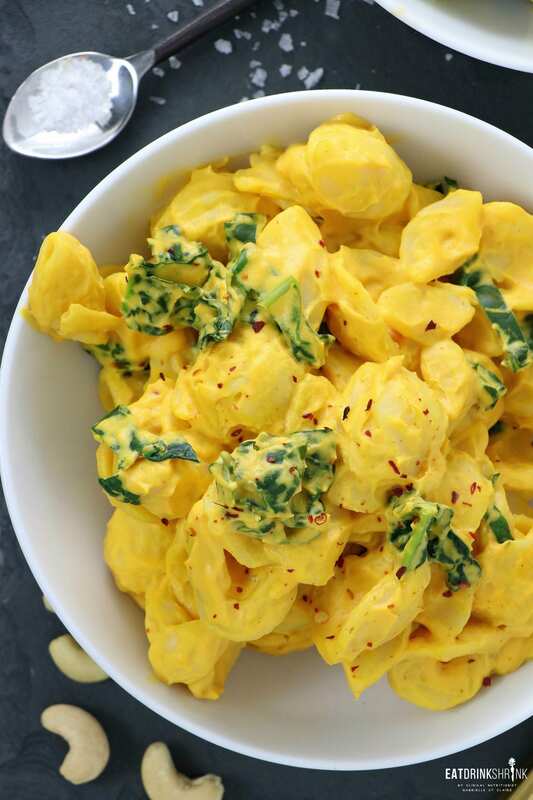 You can throw it on some pasta like I did with this recipe! What’s fab about this dish, is everything! 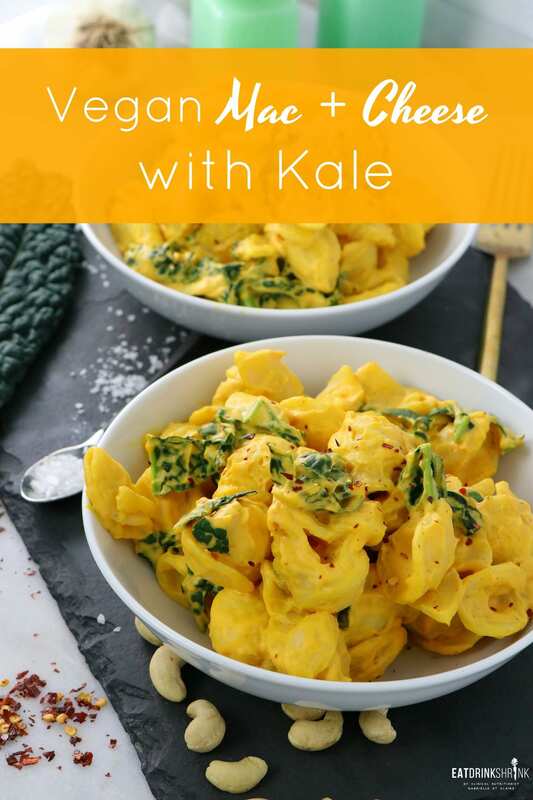 It’s quick, easy, cheesy, affordable, veggie packed, features kale, has a gorgeous color, packed with protein, packed with flavor, can easily be made in bulk, perf for any season, kid friendly, and is non vegan approved!! 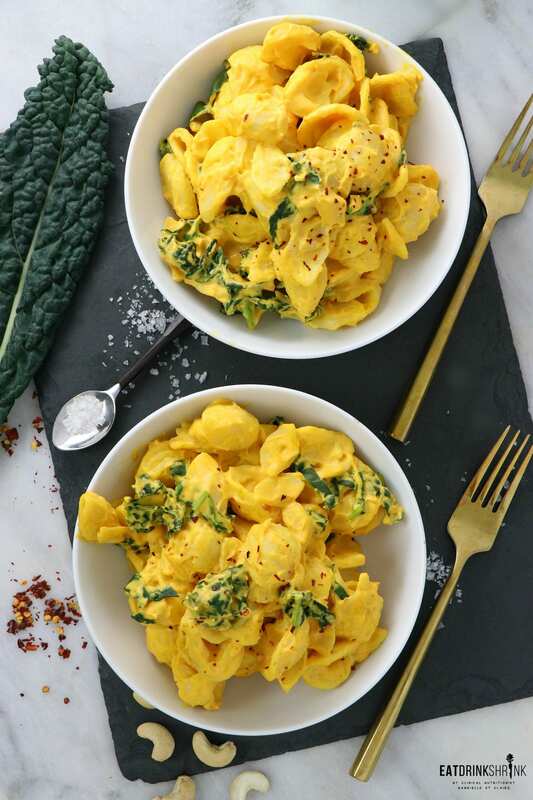 If you’re searching for that staple vegan cheese, you’re going to love this Mac + Cheese with Kale!! 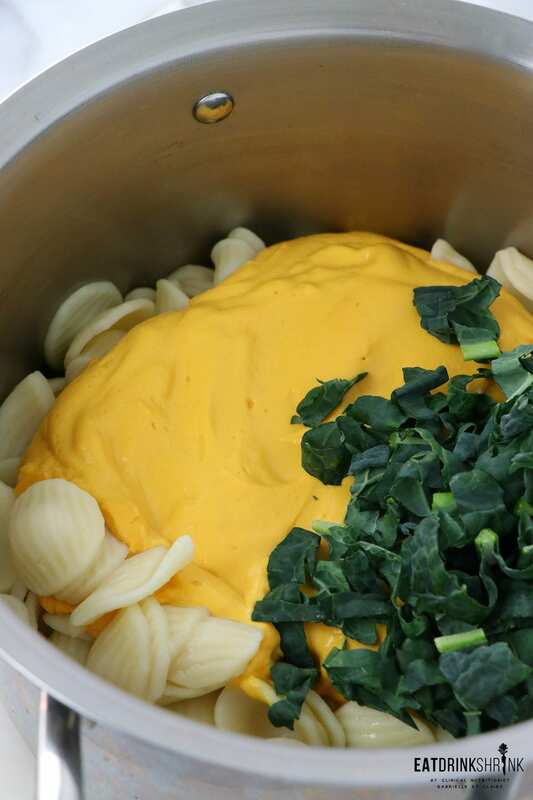 Add all the cheese sauce ingredients to a blender and blend until smooth. 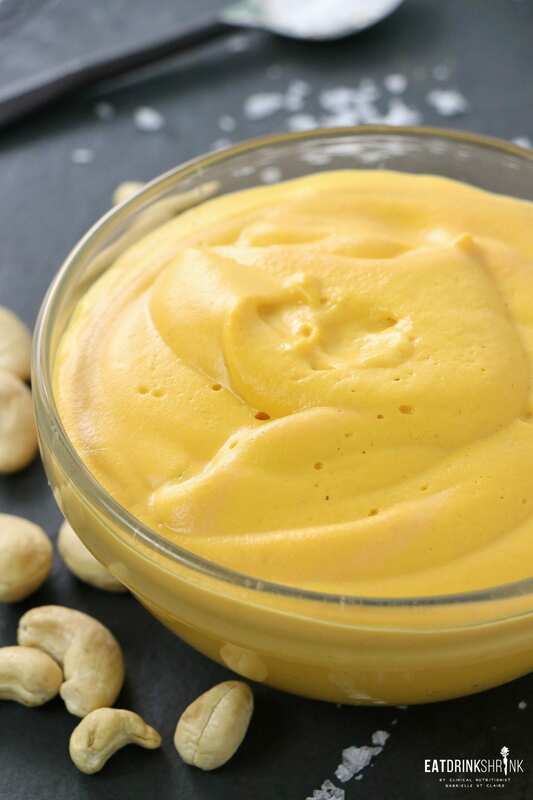 If you haven't soaked the cashews for a long time, add them to the blender first with a little of the almond milk. Blend until smooth. Taste, and adjust the spices as desired. Add more almond milk a little at a time if you find it too thick until you achieve the desired consistency. if you find that yours is too thin, add in a little more potato. Pair with fresh cooked pasta. Toss in the shredded kale while still hot.